It's time for another round up of lovely charity quilt finishes! do. 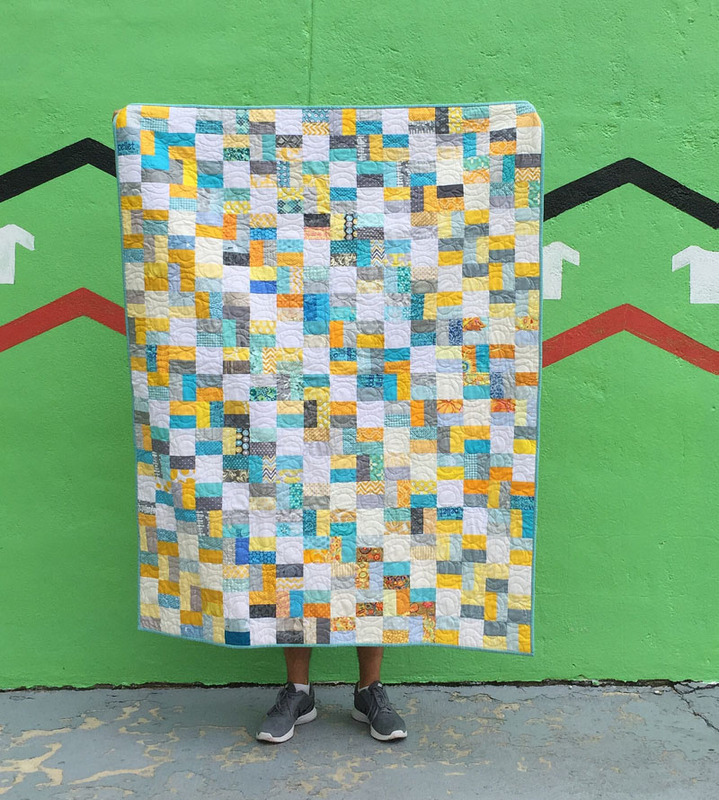 Good Stitches is a modern online community that quilts for good. Originally based on Flickr, some circles are now connecting more through Instagram. We work in teams of ten members to make collaborative charity quilts. With how the bee has grown, I can hardly keep current with all the beautiful work being done. 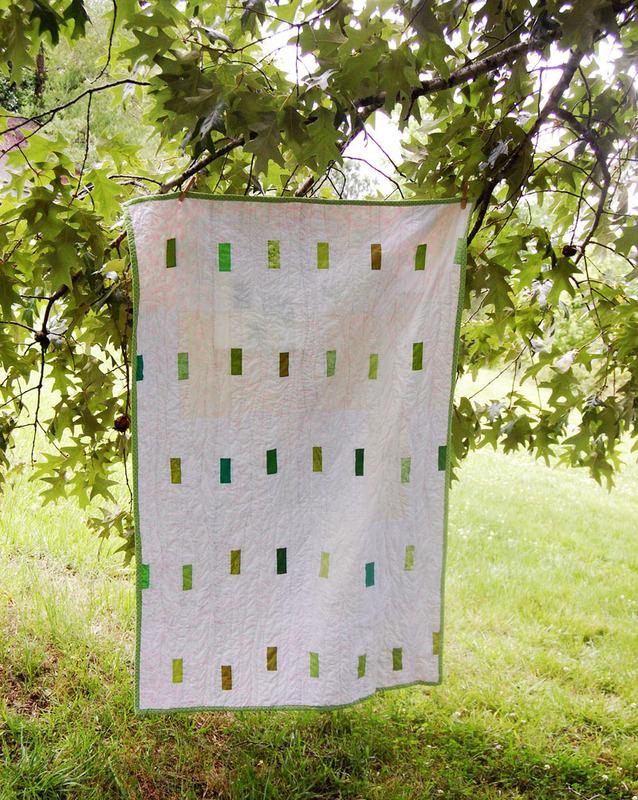 Today I'll share eight recently finished quilts! 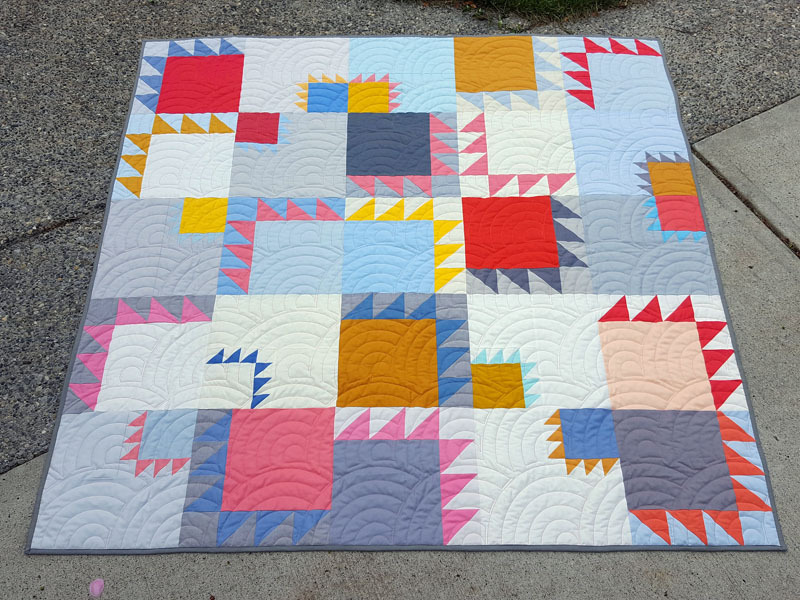 Use the arrows to flip through all eight quilts! Click on any image to visit the artist. Thanks to all who have contributed time, fabric and creative energy to make quilts for others through do. Good Stitches. Every quilt given in love is a success! At the moment we're short on quilters, who take turns leading and finishing a collaborative quilt about twice annually. We're also looking for a new stitcher (makes blocks only) in an Australian circle. If you are interested in sewing with us, please learn about do. Good Stitches here. While quilts of all styles are wonderful acts of charity, this bee intends to bring together those who enjoy sewing with modern fabrics and are comfortable using social media such as Flickr or Instagram to share pictures of blocks and quilts. To join the wait list, please use the form on the bottom of this page and I'll be in touch as soon as I have a spot for you. It's been a blessing to lead this charity quilting bee for seven years now, as of this summer. So many hands have been part of the work, whether for a few months or a few years. I'm honored to be part of a community with such a generous heart!